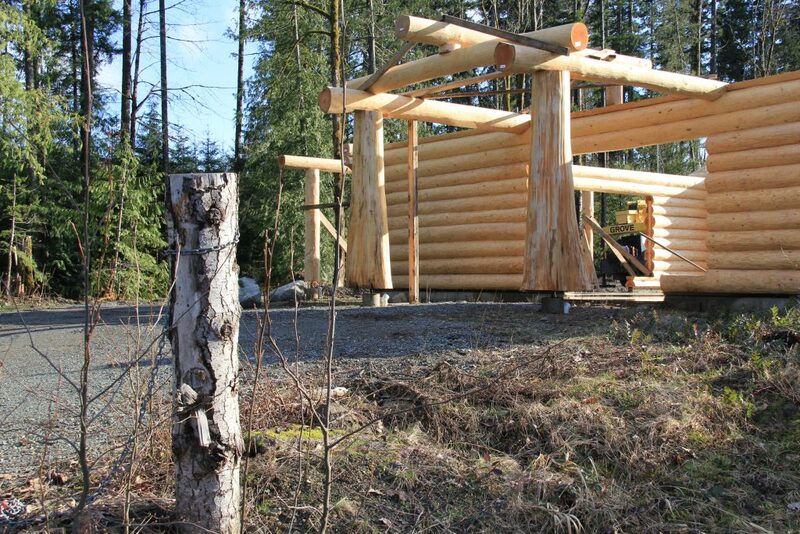 For any members that have not been around the Nanaimo Fish and Game Property lately you are in for a very pleasant surprise. The first stage of a couple major plans for the property is now under way. 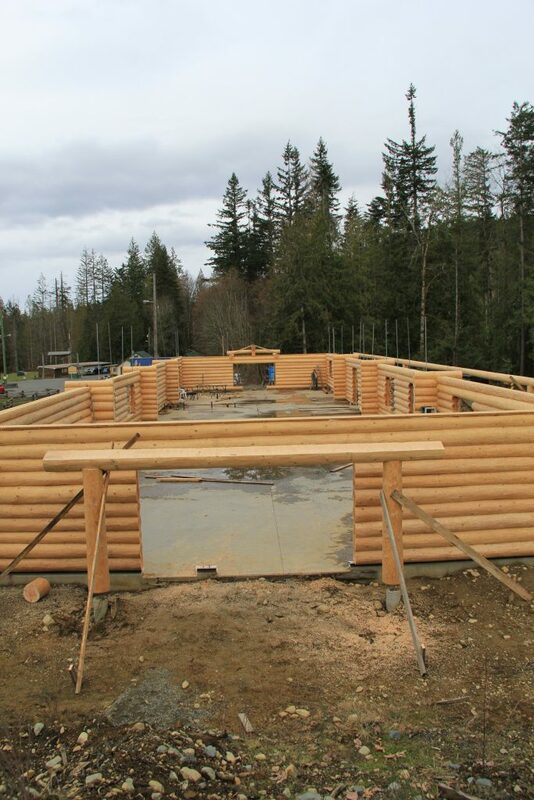 The long awaited Archery – multipurpose building is well on its way to completion. The work under taken and completed over the past week is a testament to what can happen when a few volunteers step up and shoulder the load for the benefit of all. The work and effort expended over the last week (greatly appreciated) is minor in terms of time when measured against the accumulated efforts of a dedicated few who had the vision and determination to get us to this point. This project is still a ways from completion and help in a number of capacities is still needed. Many of us are restricted by other commitments and time restraints which may make it impossible to assist in this project but please do consider giving some time to one or more of the many undertakings on Nanaimo Fish and Game Associations calendar for the year. placing the first row of logs was time consuming. 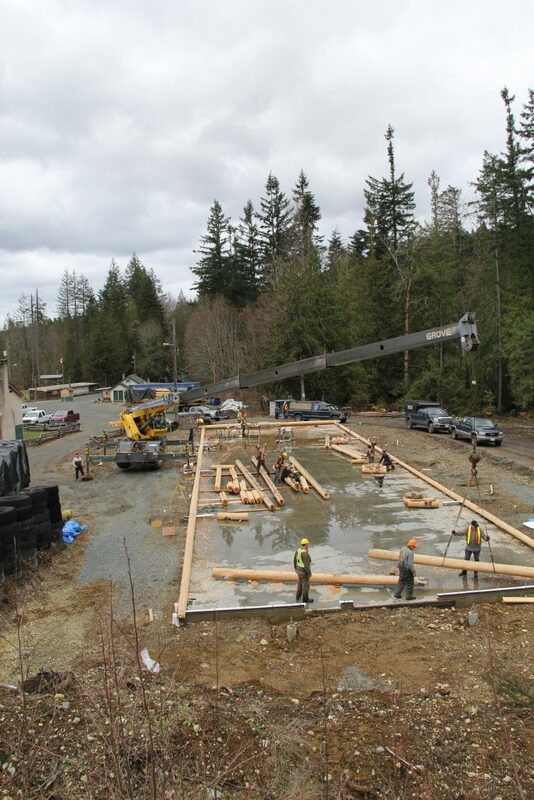 Tuesday March 28th the space was completely transformed……..
Trusses have been ordered and in the coming days will be installed and sheeted in preparation for the metal roofing.